This book tries to explain very complicate things with very simple words. 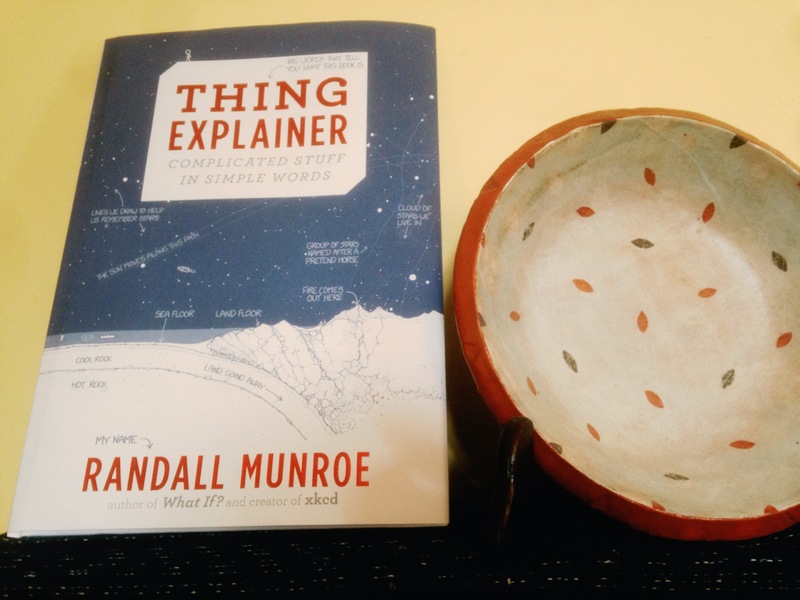 The author, Randall Munroe, has a very interesting website xkcd which answers some impossible questions with slightly more complicated words. In Thing Explainer he limits himself to what he determined to be the 1,000 most commonly used words in English. It’s a pretty cool idea, and very helpful for us. He has even posted and list and filter to help us write simply too. 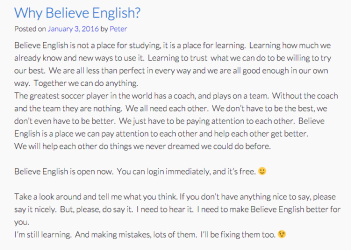 Here’s what happened to my Believe English post when I put it through the simple writer. Can you see the difference? 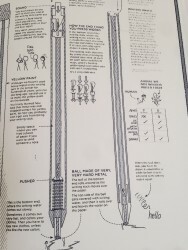 Here’s part of how he explains the way pens work. Sometimes the simple words make things ….. less simple?… “pen” becomes “writing stick.” “Ink” becomes “writing water.” But I like it, it’s all part of the fun.